Every work in the field of design and art requires a proper presentation which can abruptly captivate the onlookers as it is a pre requisite of a project as well. When a shop is opened, in case it’s messy and not organized, it will not attract plenty of customers. Likewise In order to live up to an exceptional result, the presentation of a design project is all that counts. It should appeal an eye like a bolt from the blue. A design presentation has to be detailed in its precise look to add a spark to its appearance. The more one has worked on a design’s appearance and presentation; chances can get multiplied in the favor of the design’s appeal. Presentation should always be head turning, eye catchy and attention grabbing. 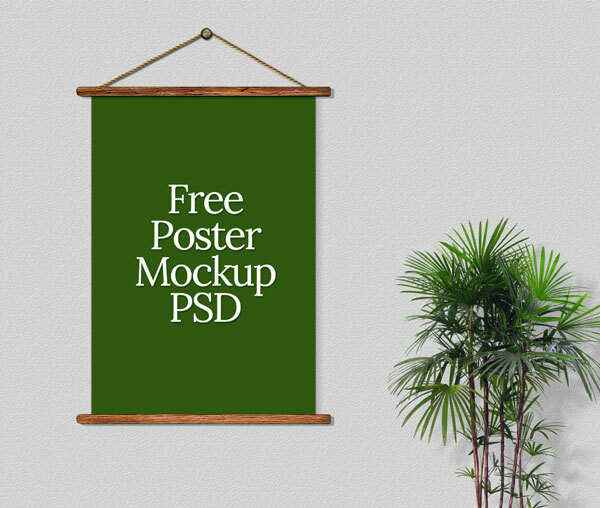 Today I’m bringing forth a free poster Mock up PSD template. You can simply put your own posters in this poster Mock up and place it on your online shopping store for selling purposes. Scroll down to get the glimpse!